Time magazine has unveiled its 2017 “person of the year” with the award going to “the Silence Breakers”, the social movement aimed at raising awareness about sexual harassment and assault of women, epitomised by the #MeToo social media hashtag. This year’s joint runners-up went to US president Donald Trump and his Chinese counterpart Xi Jinping. There had been some controversy in this year’s polling after North Korean dictator and nuclear fetishist, Kim Jung-Un, was named among the finalists. The #MeToo movement began in October after actress-activist Alyssa Milano tweeted: “If you’ve been sexually harassed or assaulted write ‘me too’ as a reply to this tweet.” The hashtag was tweeted 500,000 over the next two days. 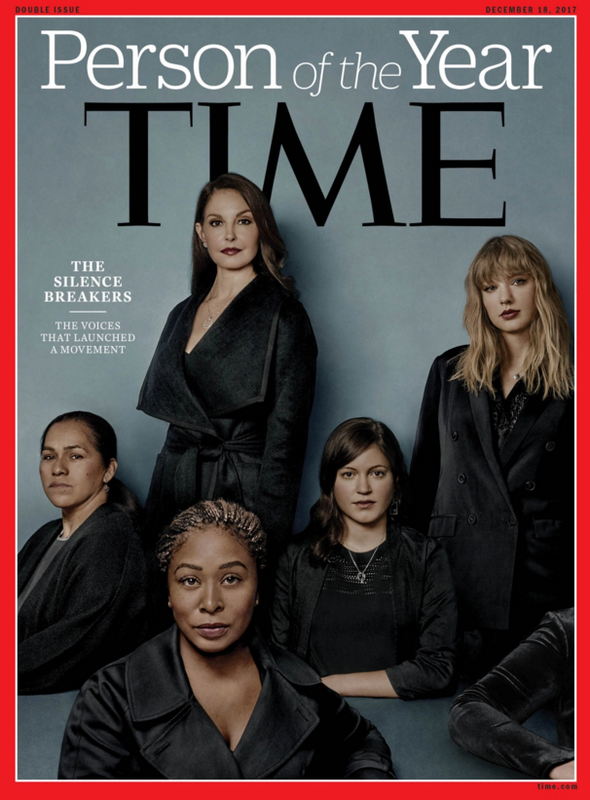 Time’s cover features women behind the movement including celebrities Ashley Judd (who was one of the women who outed serial predator Harvey Weinstein) and Taylor Swift, Uber engineer Susan Fowler, lobbyist Adama Iwu, and Isabel Pascual, a strawberry picker from Mexico whose name was changed to protect her identity. You can also see the arm of a sixth person on the cover, who is reportedly a Texan hospital worker who suffered sexual harassment and but fears the repercussions of disclosing her identity. However, not everyone’s happy with Swift’s inclusion on the cover. The singer apparently garnered her spot after winning a lawsuit this year against an American DJ, David Mueller, who allegedly groped her during a 2013 meet-and-greet. Many suggesting others were more deserved in light of the vile allegations against Weinstein, namely the actress Rose McGowan who was allegedly raped by Weinstein and had been a vehement campaigner against the Hollywood producer.